Loake was founded in Kettering, Northamptonshire in 1888 by three brothers, Thomas, John and William at 62 King Street. 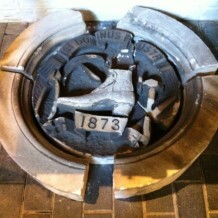 In 1894 the business, originally called the Unique Boot Factory, moved to Wood Street, where it can still be found today, providing a floor area of approximately 20,000 sq ft and accommodating over 300 workers. 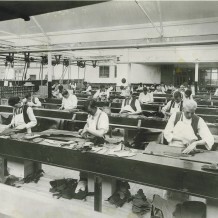 During WWI Loake manufactured Terrain boots, Convalescent boots and Despatch Riders boots for the British army. Vast quantities of Cossack boots were also made for the Russian army. By WWII Loake produced 2,500 pairs of screwed and stitched boots a week for Naval and RAF personnel. Post WWII the Loake brand was officially registered. 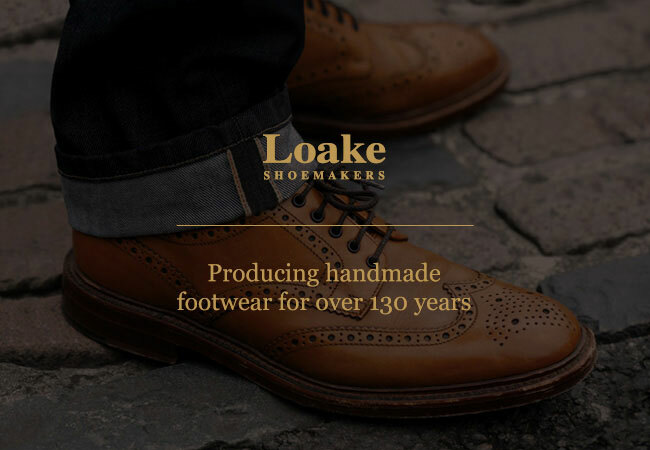 In 2007 of Loake footwear was recognised through the grant of a Royal Warrant of Appointment to HM The Queen, and in 2011 the company opened its first shop in London. Loake estimate they have now made over 50 million pairs of Goodyear welted shoes since the company’s foundation, and now exports its high quality to more than 50 countries worldwide. This page was added on 06/07/2013.